Mushrooms, in general, and truffles, in particular, take a very important place in modern art of cooking. In the cuisines of many countries of the world, mushrooms are used as competent and delicious substitution for meat. Mushrooms are great with potato and pasta; also they are used in salads and in different soups. Truffles are extremely delicious and popular. The most famous French food lover and bon vivant Jean Brillat Savarin called them “diamonds of the kitchen”. Truffles are special and unique mushrooms, because they grow up and can be found only underground, in symbiotic relationship with some definite species of trees. Truffles are mushrooms of spherical irregular shape, which diameter varies from 5 to 20 cm. Despite of long lasted difficulties with cultivation of this fungus, now truffles are grown in Europe, Africa, Asia and Northern America. The best season for picking truffles is from May to September. Truffles have rather long history. Their origin is unknown: once they were found and started being used for making meals more delicious and tasty. But there are numerous historical recordings about attempts to cultivate truffles. Many rich people dreamt about big truffle fields, which could bring incredible profits and fame, but the majority of early attempts to domesticate truffles failed. First recordings about the truffles are left from the times of Roman Empire. Actually, the Romans used a terfez mushroom, which was similar to truffles in shape, but had slight rose paleness and specific taste. Terfez came to Roman Empire from Greece and the territories of the Middle East, that’s why it was sometimes called as “desert truffle”. It had unique property to intensify the other flavors of meals, so it was really great for bright and spicy cuisine of Roman times. In XVII – XVIII centuries the truffles were very popular in France and Italy. It was still quite hard to cultivate truffles, and that’s why they could be afforded only be wealthy people, including the courts of French Kings. In those times culinary specialists used to cook different types of meals with truffles, but the peak of the art was truffled turkey. 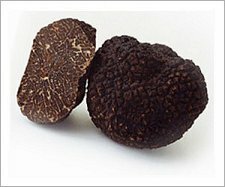 Besides, truffles were known not only for their excellent taste, but also with their aphrodisiac and medical qualities.